Today I'm sharing a card I CASE'd (Copy and Share Everything) from the new Occasions catalogue on page 41. The stamp set is called Flying Home and when I saw it I knew I had to have it. 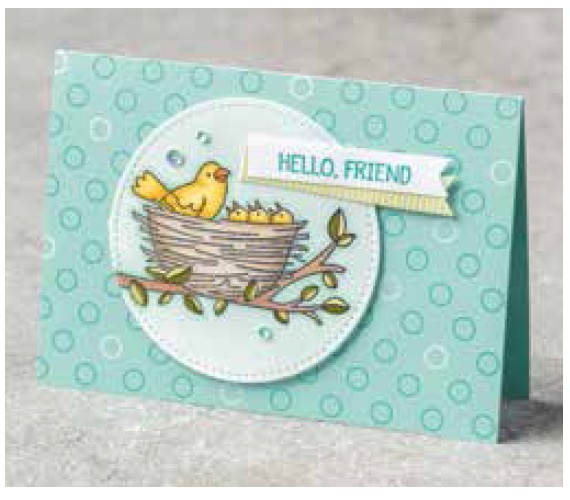 It's so adorable and is perfect for colouring with the Stamping' Blends! Yep, I stayed pretty true to the original card. Why change it when it is so adorable!